from time to time I 'rediscover' some works of an artists that long time ago I saw at some museum or gallery exhibit. There is a web page devoted to Mr Agasse's art and a catalog or two of his works. 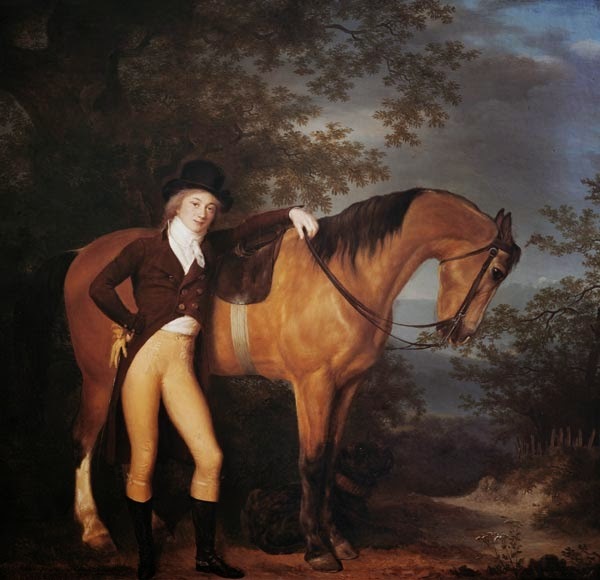 Monsieur Agasse was from Geneva in Swiss Confederacy, studied art in France before the French Revolution, and he came to England under the patronage of Lord Rivers, and in Britain he established himself as a horse painter, especially a painter of the English Thoroughbred as it appeared in the first hald of the XIX century. Through his paintings we can easily see that he was a great anatomist, with superb knowledge of horse anatomy. 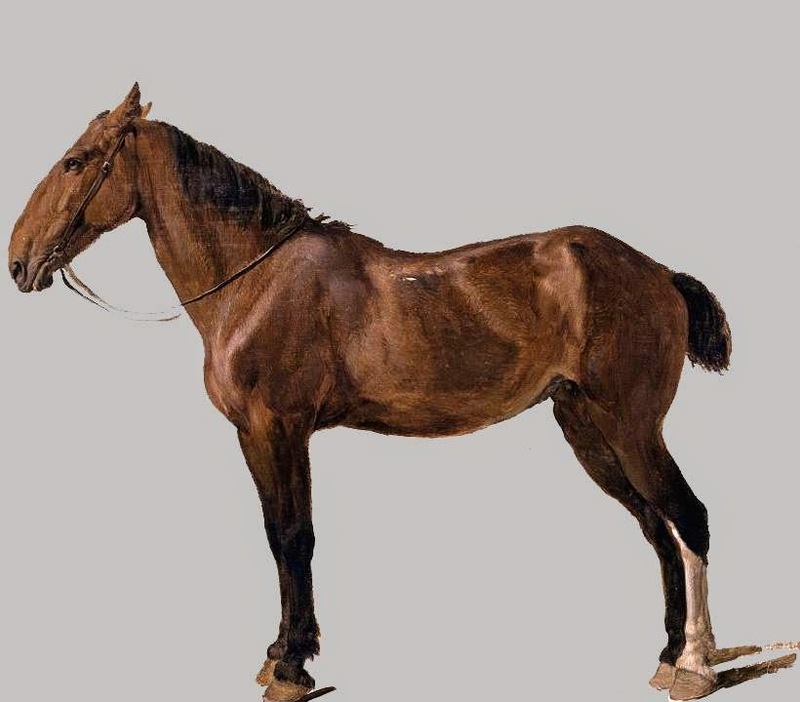 Apparently he made great use of the live studies and anatomical studies, most likely by perusing the great atlas of equine anatomy by the great George Stubbs, and yet he had started his equine studies in Paris at the veterianry school and most likely the slaughterhouses. It is easy to see that messer Agasse was skilled in painting all sorts of horses, from the English Blood horse, Arabians, big agricultural 'workbeasts,' to nags and finally whole studs, with foals and broodmares. Apart from aesthetic values, in these painting there is plenty of information about horse conformation, riding practices, horse tack, riding attire, stables and coaches, even budding Orientalism - a wealth of information for any a student of the period horse history and genre painting. The self-portrait above perhaps evokes the famous work by van Dyck of Charles I, unlucky king of England, Wales and Scotland. 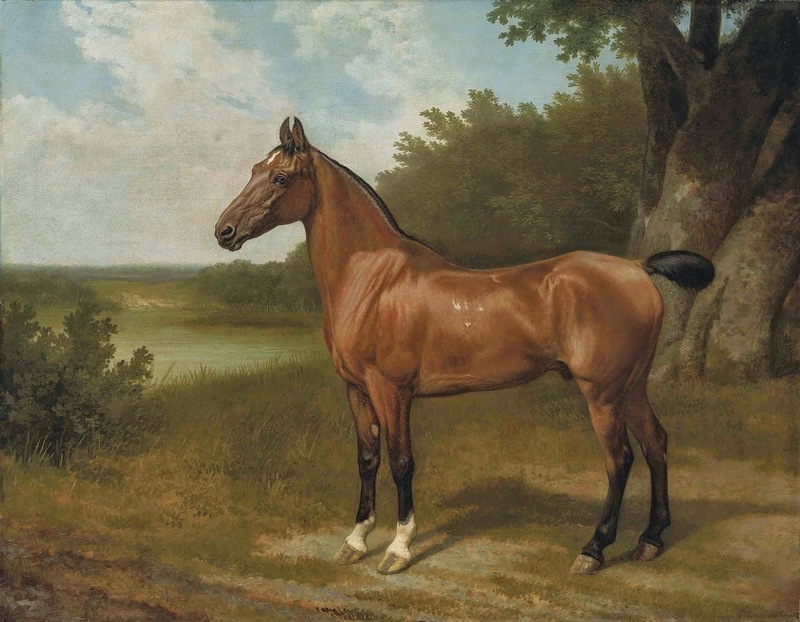 Nota bene when you read the description on the Tate's page you may be immediately struck by the pronouncement about George Stubbs, who allegedly influenced Agasse, as the greatest of horse-painters. 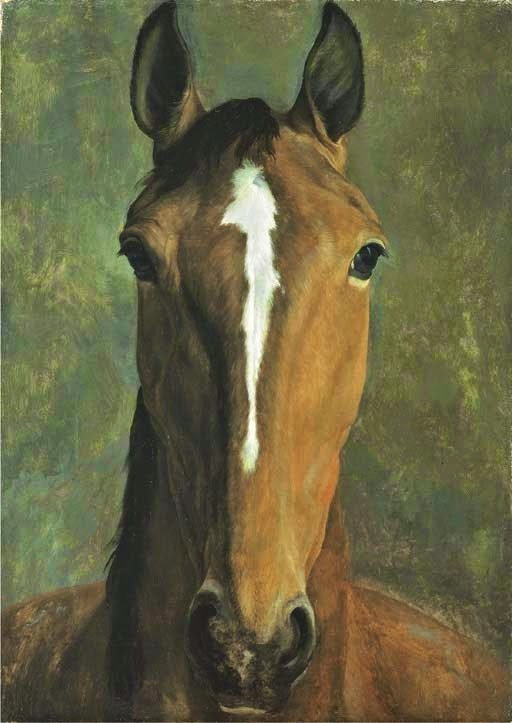 Geroge Stubbs was great but to call him the greatest of horse-painters is but the English national pride and patriotic zeal and not a statement of fact, I dare say. After all all these adverbs and lists proclaiming grandeur and leading role of this or that artist are subject to a Roman saying - de gustibus et coloribus non disputandum est. Ergo, we can agree, that the XVIII century produced some extraordinary horse painters in Europe, and that they influenced the equine art in the centuries to come, even today when the digital photo cameras can produce the most outstanding and precise images..